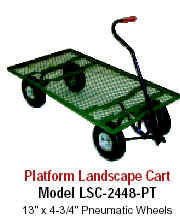 Transport plants, flowers, trees, shrubs, rocks and other small materials or parts with our full line of Landscape Carts. 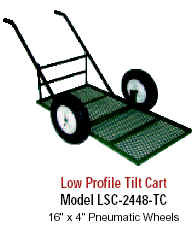 These carts are rugged and easy to maneuver with their large pneumatic tires. 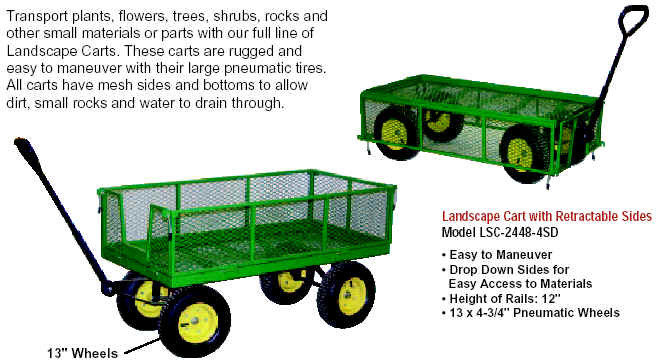 All carts have mesh sides and bottoms to allow dirt, small rocks and water to drain through. 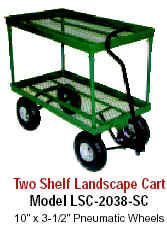 Call for Pricing on these great Models! !